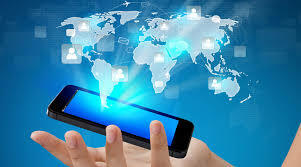 Home Communications IT Global Mobile Plan: How can we make it a reality? For the global trotter, how nice would it be to pay for a plan that allows you to use your device (with limited restrictions) throughout the world? Sounds pretty nice, eh? Especially if you’re a company with employees that are constantly jet setting to international locations and racking up the roaming fees in addition to their already overpriced international add-on plans required to use the device internationally. I know from working with previous clients that these roaming costs can be substantial and they are always looking for ways to reduce those costs. In theory, the idea of the Global Mobile Plan shouldn’t be too far out however there are some key roadblocks limiting the of which are: 1) Regulations and 2) Wireless carriers footprint. About those regulations, let’s look at what’s happening across the pond: As of June 15th, 2017, European parliament and Council (EC) announced that Europeans will be able to travel through the participating member states and use their devices without roaming fees which has been a decade long project for the EC. All 28 member states will be participating in the new rule and travelers will be able to call, text, and connect without any roaming charges. It is important to note that although they will have full functionality of their mobile devices at the same price of their plan, there are some caveats that fall under a “Fair User Policy”. The policy limits usage for inexpensive domestic plans and unlimited data may not carry over, instead it will be capped at an unspecified amount of GB and is subject to the carrier's discretion. rest of the world. With the EU eliminating geographical boundaries for users and their mobile devices, why can’t other countries or regions do the same? For example, in North America the United States shares boarders with Canada and Mexico (similar to the layout they have in the EU just the EU has 25 more countries) so theoretically they could adopt the same wireless policy. One restriction is obviously that the 3 countries have separate governing bodies so a similar wireless policy may not be possible on the government side, but the wireless carriers might be able to provide a solution by working together. As mentioned before (roadblock #2), wireless carriers are limited by their home countries geographical footprint so in order to provide services internationally, they need to pay the international carrier the cost of the usage. However, there has been a shift in the industry: Verizon, AT&T & T-Mobile have been partnering with carriers in Mexico and Canada to offer their user’s unlimited access to their plan features while traveling in those countries (T-Mobile since 2015). Sprint on the other hand has partnered with various carriers throughout the world which allows their users with access to their plans in over 200 countries but they are limited up to 2G data speeds (higher speeds available at a cost) and they still have to pay $0.20/min for voice usage. The other three will also allow you access to your plan for varying dollar amounts but your data speeds and usage amounts are capped at certain levels. The providers individually inching towards a comprehensive global mobile plan but their still pretty low below mark and it’s still unclear as to who will be the first (my bets on Verizon). So bringing it back to those two roadblocks (regulations and wireless carriers footprints) it looks like both sides are working towards the nirvana state of offering user global mobile plans. However, it seems that they are working towards this customer solution from opposite sides of the aisle. Carriers are unable to expand their wireless service offerings internationally due to varying reasons and regulations but if they (government and providers) worked together, would this get the job done? In my opinion, yes. Customers today are 24/7 and operating globally (regardless of physical locations). It’s time that our providers and government bodies allow us to do so without the high costs. While I haven’t unearthed enough data to give a definitive answer on when this Global Mobile Plan will be available at a provider near you, I do feel that it is on the horizon.